The NBA trades players a lot. Most of the time they are good trades, not stupid trades that would get a team more losses. But the New York Knicks just recently made a stupid trade in my opinion. They are currently 5-32 as of 1-6-15. But now their record is going to worse. They traded 2-3 of their best star players. They got 2 players who might be able to make their starting line-up. Now, I’m going to tell you What Team Traded what player! New York traded- Iman Shumpert and J.R. Smith. Now to me, that’s a terrible trade. This is almost as bad as the Boston Celtics trading Rondo. Besides Carmello Anthony, Smith and Shumpert were the Knicks other two best players. The Knicks defiantly need them now than ever! Cleveland Traded- Lou Amundson and Alex Kirk. Cleveland received- Iman Shumpert and J.R. Smith. With Smith and Shumpert, the Cavs could turn out better than they thought. This trade makes their offense way better than they probably thought it would be. They now have Lebron James, Kyrie Irving, Iman Shumpert, J.R.Smith and Kevin Love. They are officially a team to look out for on the Court. Oklahoma City now has Russel Westbrook, Kevin Durant, and the newest member of Oklahoma, Dion Waiters. Dion is not the best player ever, but his offensive skills are not bad. I really think the Thunder could use Waiters. Especially with Durant and Westbrook. This team might also be a team to watch out for. Basically this 3-man trade was a success for OKC and Cleveland. For the Knicks they lost 2 of 3 of their best players. 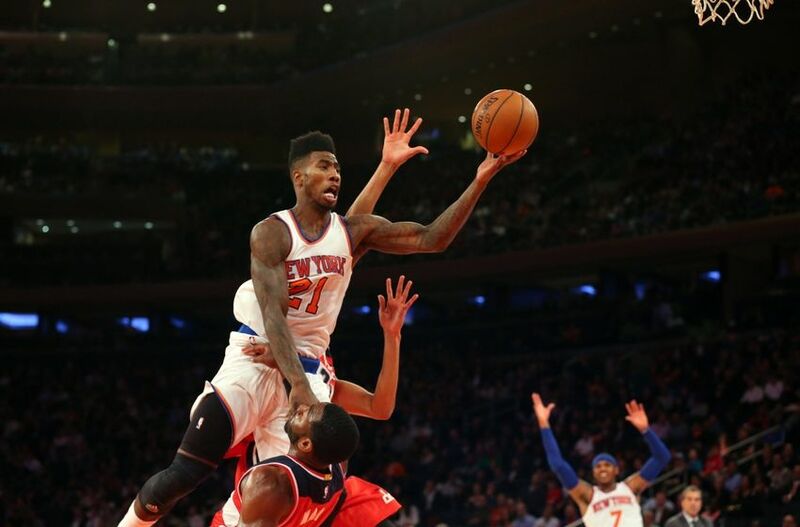 They need Smith and Shumpert to get better, and right now they’re just getting worse. They are one team that doesn’t have to try to tank. They’re doing it anyways on their own.